(Press-News.org) Researchers at Southern Methodist University, Dallas, have discovered three new drug-like compounds that could ultimately offer better odds of survival to prostate cancer patients. So far there's no approved drug on the market that reverses cancer chemotherapy resistance caused by P-glycoprotein, or P-gp for short, said Vogel, a biochemistry professor at SMU. One potential drug, Tariquidar, is currently in clinical trials, but in the past, other potential drugs have failed at that stage. "The problem when a person has cancer is that the treatment itself is composed of cellular toxins -- the chemotherapeutics that prevent the cells from dividing. Usually upon the first chemo treatment the cancer responds well, and initially goes away. Ideally it doesn't come back," said Vogel, who is director of SMU's Center for Drug Discovery, Design, and Delivery. "Sometimes, however, the cancer returns," she said. "The reason often is that some of the cancer cells "learn," after the first rounds of chemotherapy, how to make a lot of this P-gp pump. The normal function of P-gp is to pump toxins from cells, so it has evolved to protect cells against a large variety of toxins, including almost all currently available chemotherapeutics. After initial exposure, the cells surviving the chemo make so much P-gp that it allows the cells to pump the chemotherapy drugs straight back out of the cells during subsequent rounds of treatment." 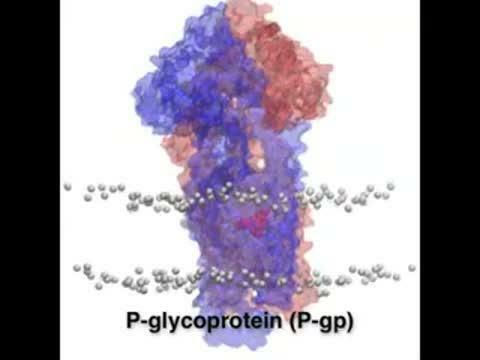 Using computer-generated model speeds up the drug discovery process The new drug-like compounds discovered by Vogel and her co-authors offer hope that using a computer-generated P-gp model, explained here http://bit.ly/1LVmR7a, developed to accurately mimic the physical, chemical and biological functions of the protein in the human body, will speed up the drug discovery process and work in real life as well. "These are not drugs yet. We still have to develop them before they can go in the clinic," Vogel said. "But what we know now is that they're not toxic -- they have low toxicity to noncancerous cells, so that's a pretty good predictor that they may be good candidates for drug development. But we need to do much more work." Vogel and her co-authors, SMU biologist John G. Wise, and doctoral candidates Courtney A. Follit and Frances K. Brewer, reported their findings in the journal Pharmacology Research & Perspectives. The article, "In silico identified targeted inhibitors of P-glycoprotein in culture," is published online at http://bit.ly/1JjFizg. The research was funded in part by the National Institutes of Health. The lab was recently awarded a second grant from the Institute. 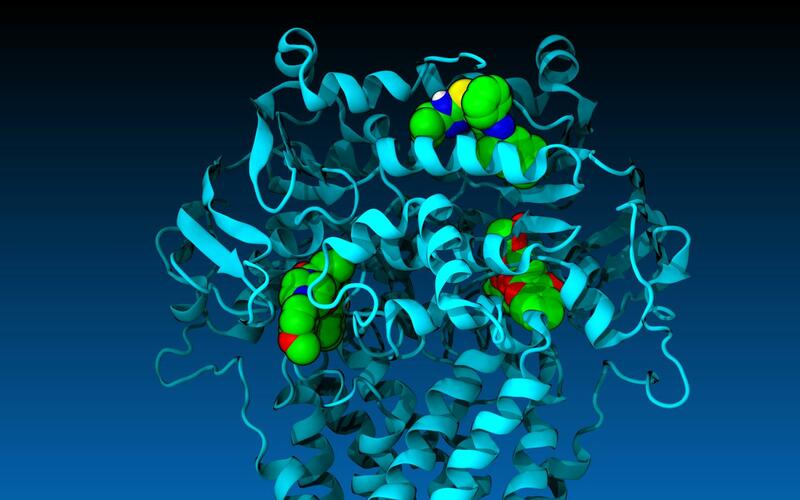 Researchers virtually screened 15 million drug-like compounds via SMU supercomputer The SMU researchers discovered the three hit compounds after virtually screening more than 15 million small drug-like compounds made publically available in digital form from the pharmacology database Zinc at the University of California, San Francisco. Using SMU's ManeFrame high performance computer, Wise ran the compounds through a computer-generated model of P-gp. The virtual model, designed and built by Wise, is the first computational microscope of its kind to simulate the actual behavior of P-gp in the human body, including interactions with drug-like compounds while taking on different shapes. The ultra-high throughput computational searches by ManeFrame led the researchers to 300 compounds that looked like they may inhibit P-gp. The researchers then tested 38 of those in their physical lab and found four that inhibited the biochemical function of P-gp, stopping it in its action. Each of the four compounds was then tested in the lab to see how it would affect a line of prostate cancer cells relatively sensitive to the chemotherapeutic Paclitaxel, commonly used to treat prostate cancer patients. Also, each was tested on a companion cell line already multi-drug resistant, as if the patient already had undergone chemotherapy using Paclitaxel. The researchers found that with three of the four compounds, they were able to push back the sensitivity of the resistant cancer line to the level of the non-resistant one. "So the compounds re-sensitized the cancer cell lines to a really high degree, just as if the cancer was seeing the chemotherapy for the first time," Vogel said. About 14 percent of men will be diagnosed over their lifetime with prostate cancer, according to the National Cancer Institute. Survival is highest if diagnosed early before it has spread, the institute reports.